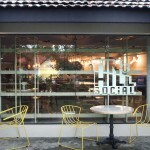 Working with the owners and Interior Designer, we were tasked to create branding for a vibrant eatery with bar, restaurant, and sports terrace on Turf Club Road. 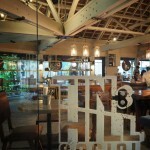 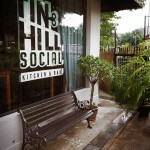 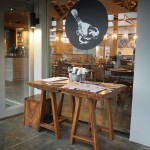 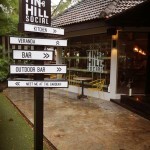 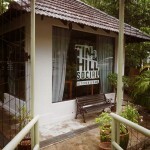 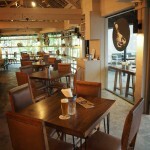 We created the name Tin Hill Social from the outlet’s location on Bukit Timah ( tin hill in Malay, as identified on a 1828 map) and the idea of “Social” being a gathering of like-minded people. 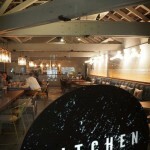 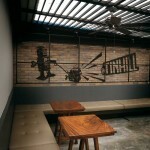 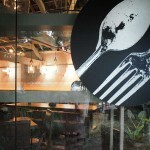 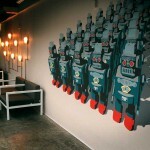 The logo represents “tin” and elements around the space integrate that with objects made from tin. 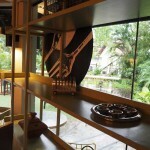 Tin wind-up toys and robots, tin tankards, bowls, cutlery etc. 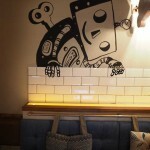 You see these elements on the windows, on the bar, on menus and place mats, on large hand painted murals in the rooms and the wind up key is also transformed into wall sconces above the banquettes.